This article is intended to teach you how to work with Pardot in Kapost. For more information on how to integrate with Pardot, read this article. 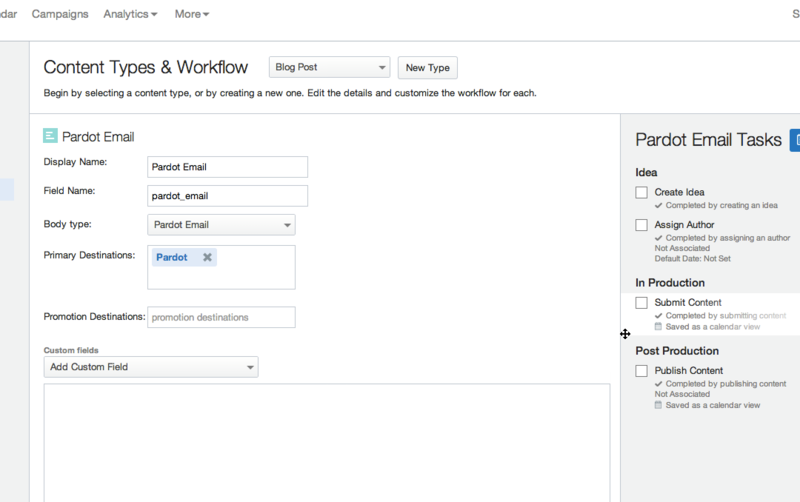 First, create your Pardot Email Content Type using Content Types and Workflows in Settings. 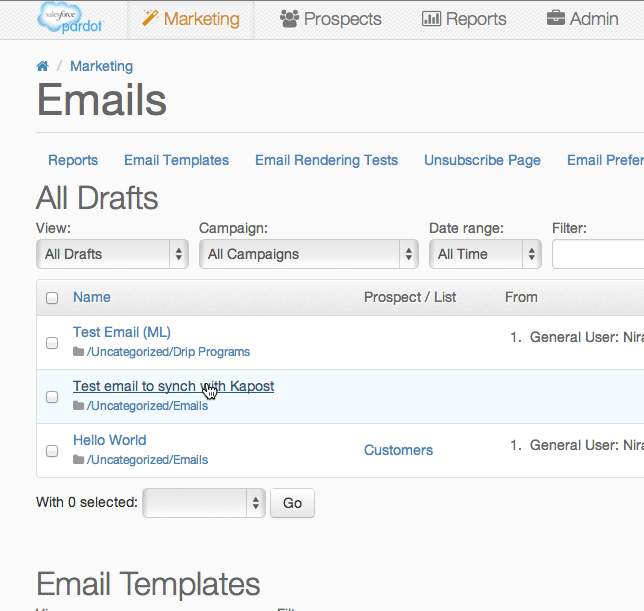 To add a Pardot email, click on the blue "Add Pardot Email" in the middle. 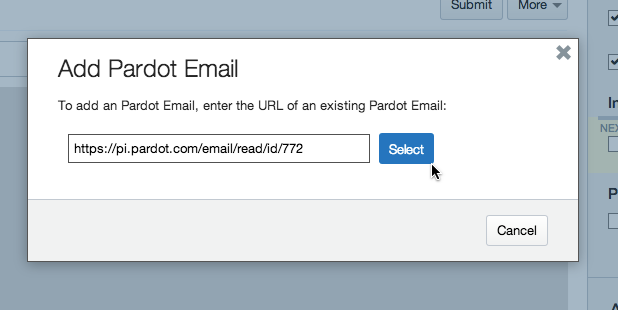 A pop-up will appear prompting you to insert the Pardot URL of the email you would like to add. 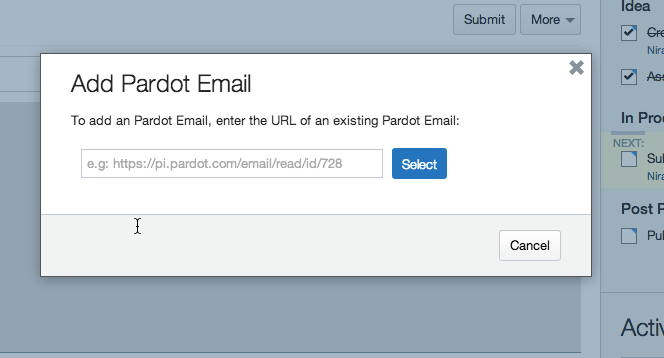 Go into your Pardot instance and select the email you would like to pull into Kapost. 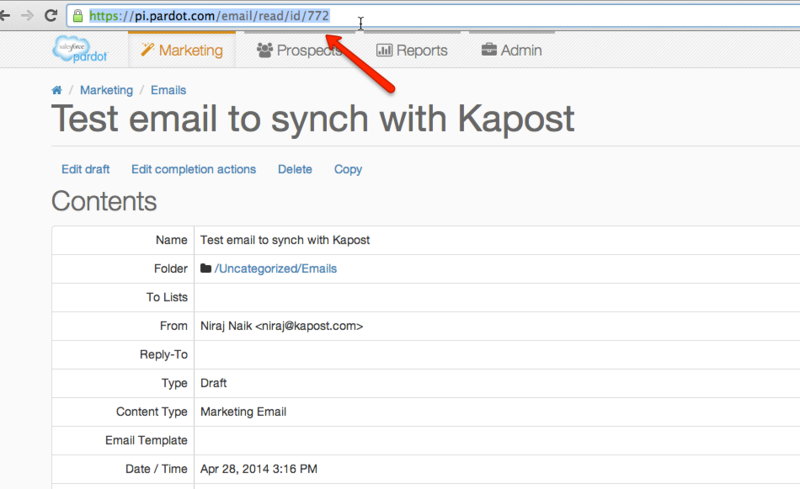 Best practice is to create the Pardot email before starting your work in Kapost. Copy the URL and paste it into the prompt. Please note: Pardot does not allow you to pull "draft" emails into Kapost. You can only pull in "sent" emails. Click "Select." The email will appear on your content page. You can then review it, comment on it, and move it through the appropriate workflow within Kapost. NOTE: All editing of the email must take place in Pardot. 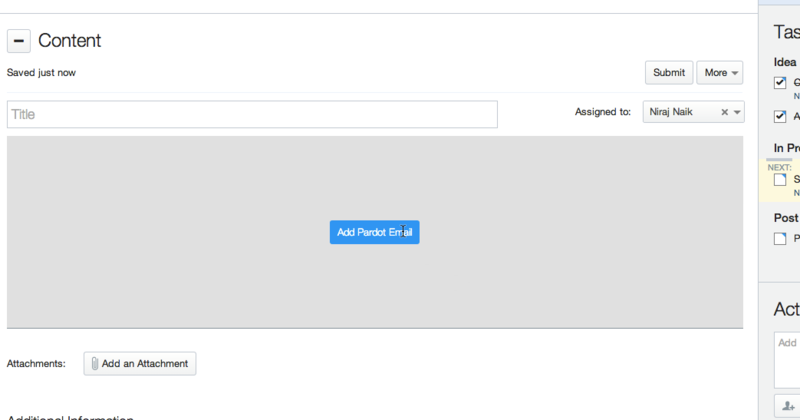 Kapost will sync any changes to the email made in Pardot back to Kapost so the next reviewer in the Kapost workflow will always see the latest and greatest version of the email. If you have any questions or comments, feel free to email us at support@kapost.com.